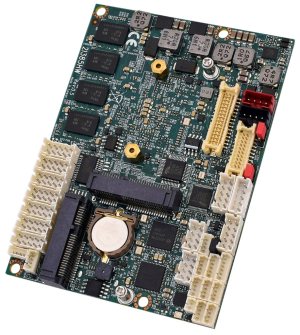 ARLINGTON, Texas – December 1, 2016 – WinSystems, a leading designer and manufacturer of industrial embedded computer modules, today unveiled its new series of shock- and vibration-tested single board computers featuring the Intel® Atom™ E3800-Series CPU (formerly known as Bay Trail-I). The EPX-C414 products support up to 8GB of RAM and legacy PC/104-Plus expansion while facilitating upgrades to newer technology. 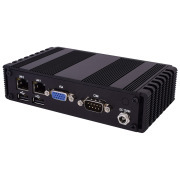 They are outfitted with eight onboard USB 2.0 ports, dual Gigabit Ethernet controllers, four serial COM ports and 48 GPIO, providing broad capability and impressive performance in a small package. 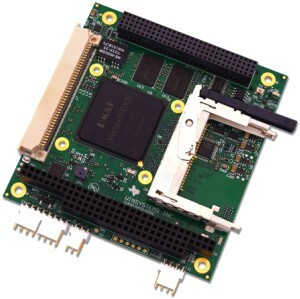 The EPX-C414 series features the Intel Atom E3800 family of processors in an industry-standard EPIC form factor, capitalizing on its improvements in computational performance, energy efficiency and power management, among other enhancements. The SBC EPX-C414 underpins quad-core, dual-core or single-core processors and up to 8GB of DDR3L SDRAM. 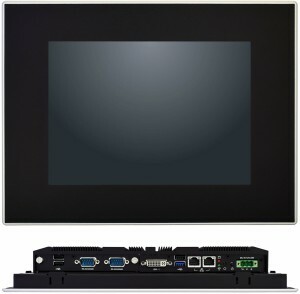 The Intel Generation 7-based graphics engine supports up to two simultaneously active displays with interfaces available for analog VGA, Mini DisplayPort and LVDS connections. Advantages over previous generations include a fivefold gain in immersive 3D graphics and greatly enhanced full-HD video acceleration for significantly improved media performance. 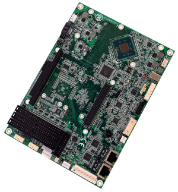 The Intel Atom E3800 also delivers enhanced security, applying AES-NI for faster cryptographic execution. 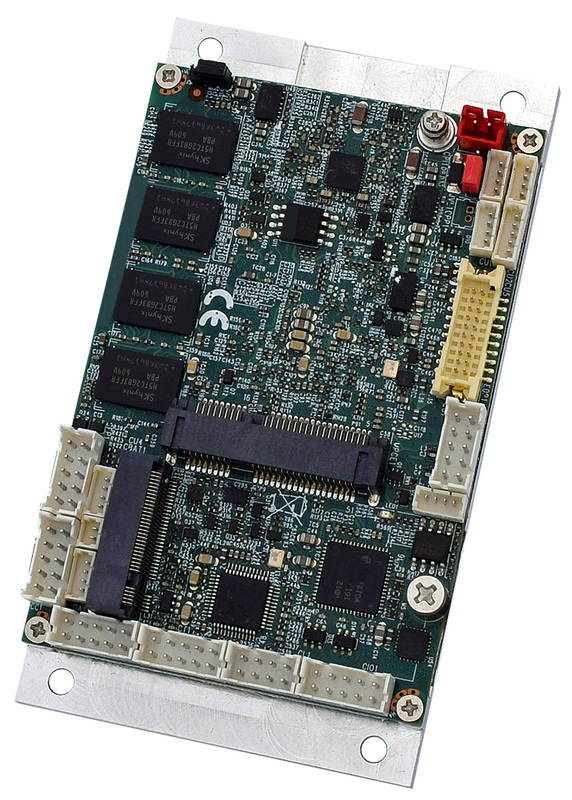 For networking and communications, the EPX-C414 includes two Intel i210 Ethernet controllers with 10/100/1000 Mb/s multispeed operation. 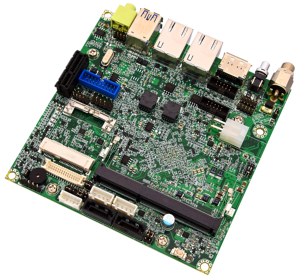 It provides eight USB 2.0 channels and four serial ports to support RS-232/422/485 interface levels. 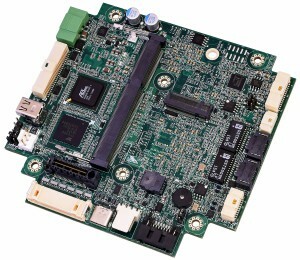 The series also features two MiniPCIe and PC/104-Plus connectors, enabling further I/O expansion. Both of the MiniPCIe connectors accommodate full-length cards with screw-down mounting for improved shock and vibration durability. One MiniPCIe connector also supports bootable mSATA solid-state disks. 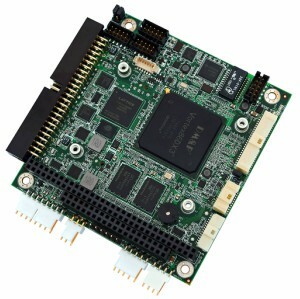 The PC/104-Plus connector provides access to a full ecosystem of legacy off-the-shelf and custom-design I/O expansion modules, including data acquisition modules. 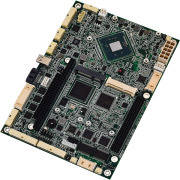 Linux, Windows® and other x86 operating systems can be booted from the CFast, mSATA, SATA or USB interfaces, offering flexibility in data storage. 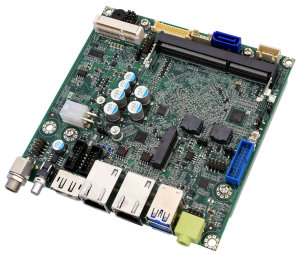 WinSystems provides drivers for Linux and Windows 10 as well as preconfigured embedded operating systems.